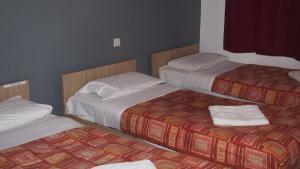 Below is a comprehensive list of hotels in Stapleford. Use the sort links to refine your search or to find featured accommodation in Stapleford. Many of our hotels in Stapleford feature no booking fees and best price guarantee when booked through the Pictures of England website. To list your hotel in Stapleford, click here. Offering free Wi-Fi, The Horse and Jockey is situated 1 mile from the NET tram site in Stapleford. It sits above a real ale pub, where guests can enjo..
Whiteley Mill is set in Stapleford, 9 km from Nottingham and 34 km from Leicester. Free WiFi is provided throughout the property and free private park..
Hayworth lodge offers accommodation in Sandiacre. Nottingham is 11 km from the property. Free WiFi is featured throughout the property. 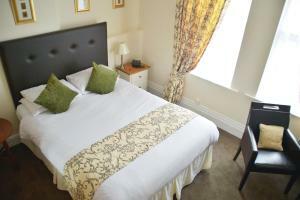 All units hav..
Bennetts Hotel is located in Long Eaton, 10 km from Nottingham. Guests can enjoy the on-site bar. Free private parking is available on site. Bennetts.. 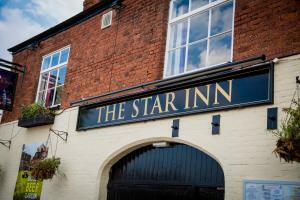 Situated in the town of Beeston in Nottingham, The Star Inn offers a bar, free WiFi, and free onsite parking (subject to availability). Beeston Railwa.. Located just 3 minutes’ walk from Beeston Railway Station, Grove Guest House offers quiet accommodation with free WiFi and free parking. The propert.. 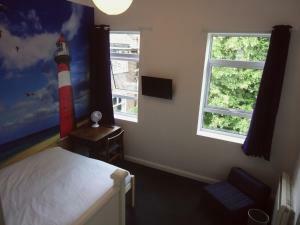 Featuring free WiFi and a restaurant, Rockaway Hotel and Restaurant offers pet-friendly accommodation in Beeston. Guests can enjoy the on-site restaur.. 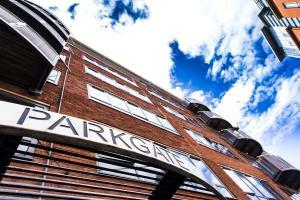 Featuring free WiFi, Fairhaven Guest Accommodation offers accommodation in Nottingham, 2.2 km from University of Nottingham. Free private parking is a.. Adjacent to the East Midlands Conference Centre, this contemporary 4-star hotel features accessible rooftop terraces, green roofs and free Wi-Fi in al.. 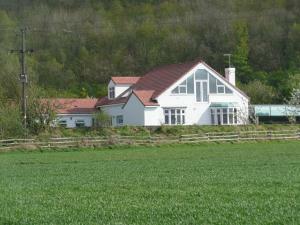 Situated in Thrumpton, 11 km from Nottingham, Hillside Cottage features free WiFi access and free private parking. Rooms have a flat-screen TV. You w..
Garden House is located in Nottingham, 2.4 km from Nottingham Castle and 2.5 km from National Ice Centre. Each room has a flat-screen TV. Some rooms .. Situated in Nottingham’s historic park area, the Walton boasts free Wi-Fi and free private parking. With a restaurant and bar, the prestigious and s.. Featuring free WiFi, The Clarence Hotel offers accommodation in Nottingham. A TV is featured. National Ice Centre is 2.4 km from The Clarence Hotel,..
Birchover Park Gate is a self-catering accommodation located in Nottingham. 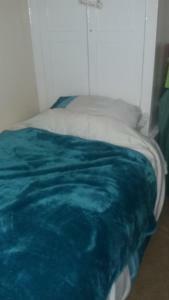 Free WiFi access is available and the property offers free parking. Accom.. Featuring free WiFi throughout the property, Rufford Court offers accommodation in Nottingham. Free private parking is available on site. You will fi.. Featuring free WiFi, Robin 7 Lodge & Bistro offers accommodation in Nottingham. Guests can enjoy the on-site whisky bar. 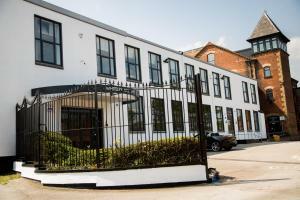 A flat-screen TV and DVD pla..
Holden House is located in Shardlow. 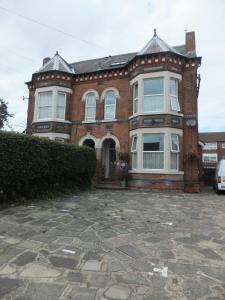 It is situated on the River Trent and features a sun terrace and garden. The bed and breakfast offers free WiFi a.. Featuring free WiFi and a terrace, Igloo Hybrid offers accommodation in Nottingham. Some rooms include views of the garden or city. A flat-screen TV .. 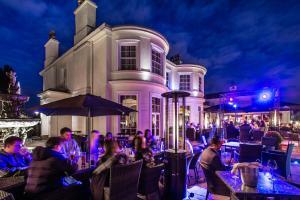 Opposite Nottingham Train Station, The Bentinck Hotel provides attractive rooms and a bar, restaurant and coffee lounge. Moments away from local shops.. Situated just 3 miles from Nottingham city centre, The Beeches Hotel & Leisure Club features an indoor swimming pool, fitness centre and sauna, and fr..